Point2 Homes gives you far more than a simple list of houses for sale. Get instant access to a lot of relevant information about Norfolk County, ON real estate, including property descriptions, virtual tours, maps and photos. The search results pages also have a wealth of information on Norfolk County, ON, if you scroll all the way down. 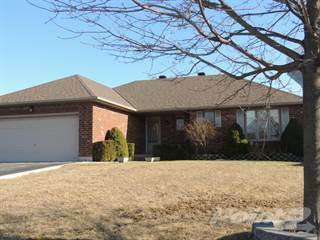 There are 232 houses for sale in Norfolk County, ON. 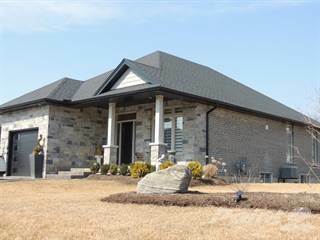 Searching homes for sale in Norfolk County, ON has never been more convenient. With Point2 Homes, you can easily browse through Norfolk County, ON single family homes for sale, townhomes, condos and commercial properties, and quickly get a general perspective of the real estate prices. Also, you’ll never miss a bargain if you filter listings based on house price drops in the past six months. Use the map view to find Norfolk County, ON homes and apartments for sale, based on amenities or city features that you may want close by. You can close in on a specific neighbourhood or area by simply drawing around them with the polygon or radius tools. Stay informed about the latest entries on the real estate market by saving your searches. This way, you get new listings in your inbox, daily or every week, based on your preferences. If you’d like to get in touch with a professional, agents are displayed next to their listings, and they’re easy to contact through the online forms. If you want more options, you can click the Tools tab and Find an Agent, and you’ll get a list of helpful and knowledgeable real estate agents in Norfolk County, ON. Visit the Point2 Homes blog and you can find up to date expert advice on many markets throughout Canada, regular market reports, neighbourhood scoops in cities throughout the provinces, real estate deals and useful recommendations. Norfolk County is a rural town located in Ontario to the north of Lake Erie. Having been established as a single-tier municipality in 2001, it has a population of roughly 63,000 people and a total land area of approximately 1,600 square kilometers. The name ‘Norfolk’ originated from the city in England of the same name. Norfolk County has established itself as an agricultural hub, dating back as early as the 19th century when fruit production was at an all-time high. To this day, it has some of the most fertile land that can be found in the province. Norfolk County boasts a strong tourism sector that brings in thousands of potential new residents while being responsible for a good portion of its economic well-being. In addition to the tourism, Norfolk County’s agricultural sector has always been responsible for maintain the town’s economic stability. Norfolk County’s small size does not make it friendly towards local opportunities for post-secondary education. Eastern Norfolk County is where you can expect to find higher-end homes in terms of modern design and luxury. Norfolk County boasts a strong tourism sector that brings in thousands of potential new residents while being responsible for a good portion of its economic well-being. The three main sources of entertainment in Norfolk County are museums, festivities, and boating. Thanks to its location near Lake Erie, many tourists from around the province will spend a great deal of time fishing and boating. As per its festivals, there are many annual events that attract both citizens and tourists. For example, the Norfolk County Fair and Horse Show is considered to be the largest county fair in the country. Held at each Thanksgiving weekend in October, it falls right behind the annual Pumpkin Festival. Multiple food stands, competitions and parades are just a small sample of the things you can expect to see at these events. These events get booked fast, so make sure that you book your tickets well in advance! There is a grand total of 8 smaller townships that exist within Norfolk County. For the sake of simplicity, there is a ‘western’ part of the town and an ‘eastern’ part that each contain several of these mentioned townships. East Norfolk County is comprised of Windham, Townsend and Woodhouse. This is the area of Norfolk County that is more industrial in nature. Thus, all of the major businesses and shopping centers are aggregated in this region. Many of the amenities that are available to the public include fine dining, museums that conserve and present the lifestyle of Norfolk County citizens in the 19th century, antique stores, and more. You can expect to find younger professionals and wealthy families occupying this area. Houghton, Middleton, North Walsingham, South Walsingham and Charlotteville are the townships that make up the western region of Norfolk County. You can expect to find fisheries, mom & pop shops, fresh farm produce markets and hosting locations for many of the town’s annual festivals. All of the tourist attractions tend to be aggregated within this area, along with all of the agricultural farming that provides people with fresh produce. Once a year, there is a biker convention where motorcycle enthusiasts from all over the province will meet and discuss the latest trends within the motorcycle industry. Middle-class families and seniors are the main demographic in these townships. There are a few low-rise condos for sale but they are quite few in number, as well as cheap bachelor apartments for rent that are better suited towards those who have a low budget for housing costs. 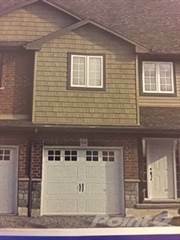 With that being said, there are a few fully detached residential homes and semi-detached townhomes that are located on the outskirts of the busier areas. West Norfolk County is rather rural in nature, and this is reflected by the low number of homes that are available. Properties are located a greater distance from one another. You can expect to find bungalows, mansions, and detached homes. Compared to the East Norfolk County, most of the houses sport a traditional design on the inside and the outside. Additionally, properties are older in age and far less expensive. Even though Norfolk County is a rural town, this is a real estate market that is great for those who are looking for peace and quiet in their day-to-day lives. The commute to the main areas of the town last 20-30 minutes by car, so there is never any major concern over having a lack of access to essential amenities and services. Norfolk County’s small size does not make it friendly towards local opportunities for post-secondary education. For this reason, many students will travel to the major cities in Ontario or go out of province to attend university or college. With that being said, there are many opportunities for children currently in elementary school (K-8). There are currently 19 elementary schools that operate under the Grand Erie District School Board and 7 schools under the Brant Haldimand Norfolk Catholic District School Board. Each of these schools provide a high standard of education while having unique strengths that would make them more suitable for families that have certain goals in mind for their children. In addition to the tourism, Norfolk County’s agricultural sector has always been responsible for maintain the town’s economic stability. Nicknamed as “Ontario’s Garden”, this town is one of the top producers of fresh farm produce in the province. The manufacturing and construction industries also play a large role in employing the labour force and contributing to the town’s economy. From a business standpoint, attractive features for prospective businesses include low property tax rates and a very high quality of life with respect to community safety. There is a great deal of untouched land that can be used to establish a new business location here. Their Community Improvement Plan (CIP) establishes grants that small businesses can use to start their company and gain some developmental traction. Based on these factors, projections show that Norfolk County will be an under-rated spot for starting new businesses and expanding those that currently exist.